The Terrible Two is an epic double century in Napa and Sonoma County, showcasing the region's vineyards, redwood forest, and coastline. A double metric route is offered as well. The course starts in Sebastopol with a pace car escorting the peloton through Santa Rosa. The first climb leads up Bennett Valley Road. After passing through Glen Ellen, the next climb leads up Trinity Grade (double digit grades), followed by a technical descent and an ascent up Oakville Grade. The ride then continues on through Napa Valley, visiting St. Helena and Calistoga. 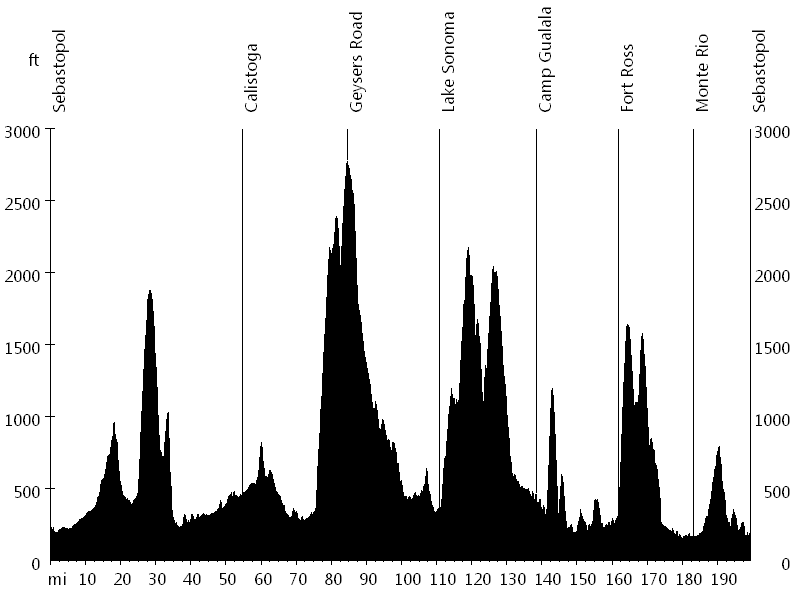 Geysers Road (double digit grades) leads up the highest climb of the day, followed by a long descent into Cloverdale. From here the route continues on to Lake Sonoma. Skaggs Springs Road (double digit grades) leads up two climbs, followed by a long descent into the redwood forest. After Camp Gualala, the course hits "the wall", an extremely steep section. The ride then continues on to Stewarts Point at the Pacific Coast. 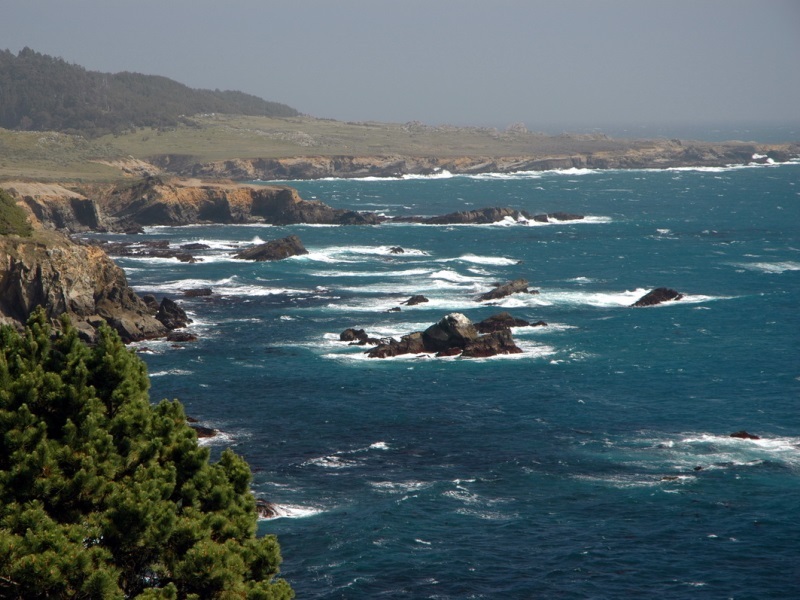 After following the coastline for some time, the route turns inland and leads up Fort Ross Road (double digit grades). The course then passes through Cazadero and Monte Rio. The last climb leads up to Occidental, and finally Graton Road heads back to Sebastopol. The Terrible Two is one of the most difficult double centuries. While the Devil Mountain Double Century has more elevation gain, the climbs of the Terrible Two are steeper and the temperature is often higher (triple digit degrees on double digit grades). Thanks to the Santa Rosa Cycling Club and all the volunteers for a great event.